Every couple of weeks or so there’s some new train wreck featuring an author who couldn’t handle a bad review unloading all over a reviewer. Maybe it sounds like common sense, but authors aren’t supposed to reply to reviews. Even good ones! No! Don’t respond! Don’t engage! “Why shouldn’t we?” you may ask. Well, partly because reviewers need to feel free to be honest about their opinions, and if you reply to reviews then future reviewers may not want to review at all if they think they’re being watched. Also, it’s just part of being professional; there are some cases in which I might thank a reviewer (like, if we’d had previous contact, or they were an online friend, or they contacted me personally to discuss the book and invited interaction with me), but I would never initiate contact with a customer who is reviewing the book for other members of my audience, not for me. And it should go without saying, but you should never argue with a reviewer or sic your friends on them in the comments. Getting unfair, snotty, pointless, opinionated reviews that stab you in the soul is indeed part of publishing a book, and though there are certain instances where you can request removal of reviews if they include ad hominem attacks, unmarked spoilers, personal information reveals, or harassment, it’s better to just leave them alone. Having some less flattering reviews actually makes your book look good; it removes the potential for readers to think all your reviewers are fake. And if your reviewers really are being unfair, that usually shows in the words they choose. As of this writing, my book has a single one-star review on Amazon in which the reviewer claims that I didn’t cover a certain subject AT ALL ANYWHERE while admitting he only read a small portion of the book, and spews various “gotcha” fact-check claims that are based on misconceptions my book would have corrected if he had read it. People can draw their own conclusions from that–and from the two dozen five-star reviews. I’ve learned plenty of interesting things about how people are reacting to my book while reading reviews, and I’m grateful for it when they’re not 100% sweetness and light. You should be excited if someone’s willing to think about your book in depth and offer up some gently critical thoughts on it, even if it’s too late to apply them to this book if it’s already published. 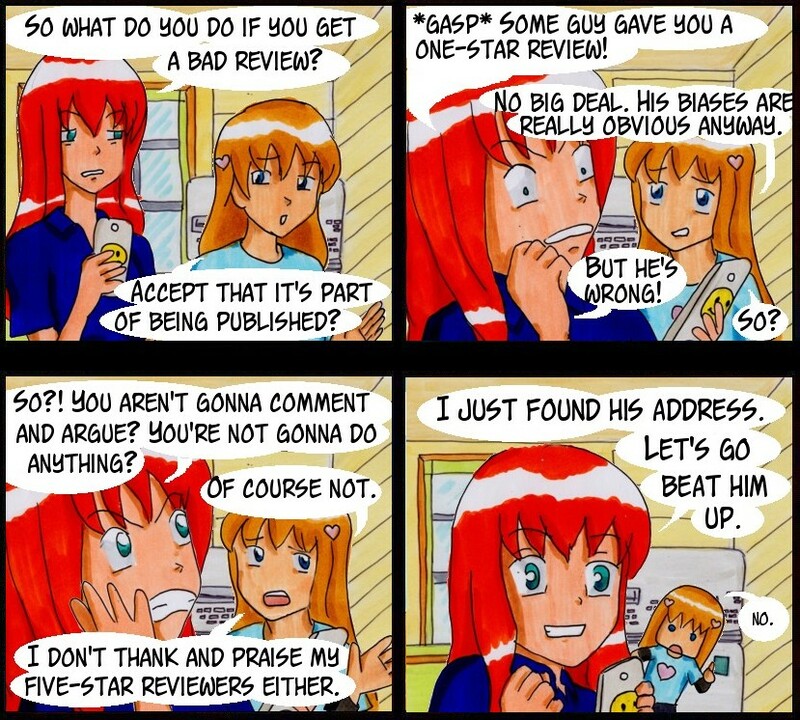 Still, remember reviews aren’t really for you. They’re for other readers. And they have every right to say they didn’t like your book.